A few years ago I wouldn't really have considered staying in a hotel close to home. Then the boys came along and we've managed a few nights away without the boys in hotels in and around North East England on a cheap weekend getaway or midweek deal. 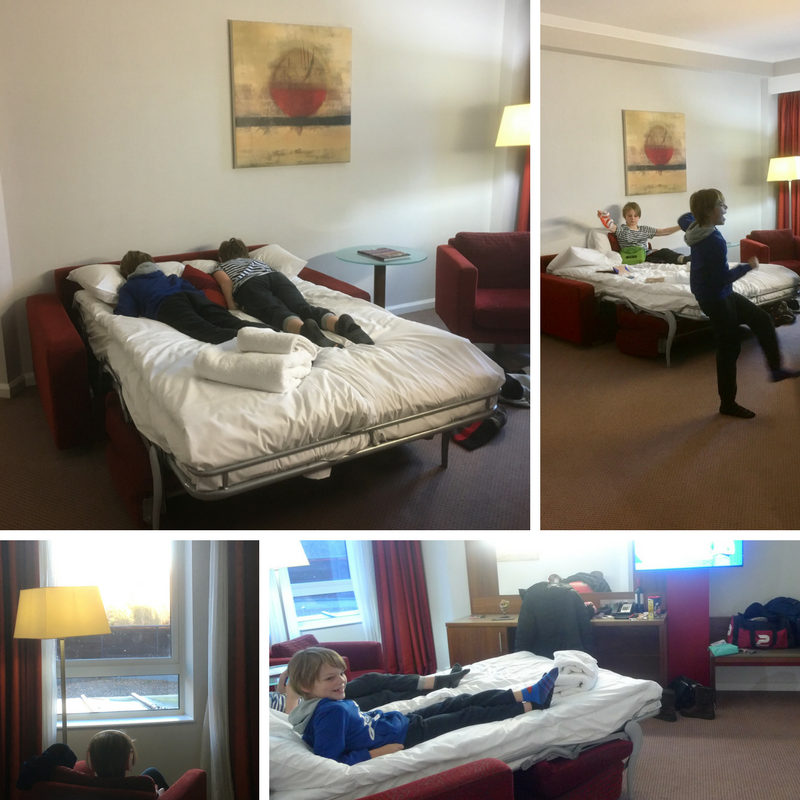 Now the boys are older we've started having the odd night or two away in a hotel as a family, but choosing to stay close to home - it saves on the time and cost of travelling too! And we've been able to enjoy a family staycation a few times now when we've revisited our home cities as tourists. Durham is a historic and Unversity city in North East England, just south of Newcastle upon Tyne. In the city the River Wear loops around the Romanesque Durham Cathedral and Norman Durham Castle which together form a UNESCO World Heritage Site. Radisson Blu in Durham is just a short walk from Durham Castle and Cathedral. This hotel offers premium lodging in the heart of the city. 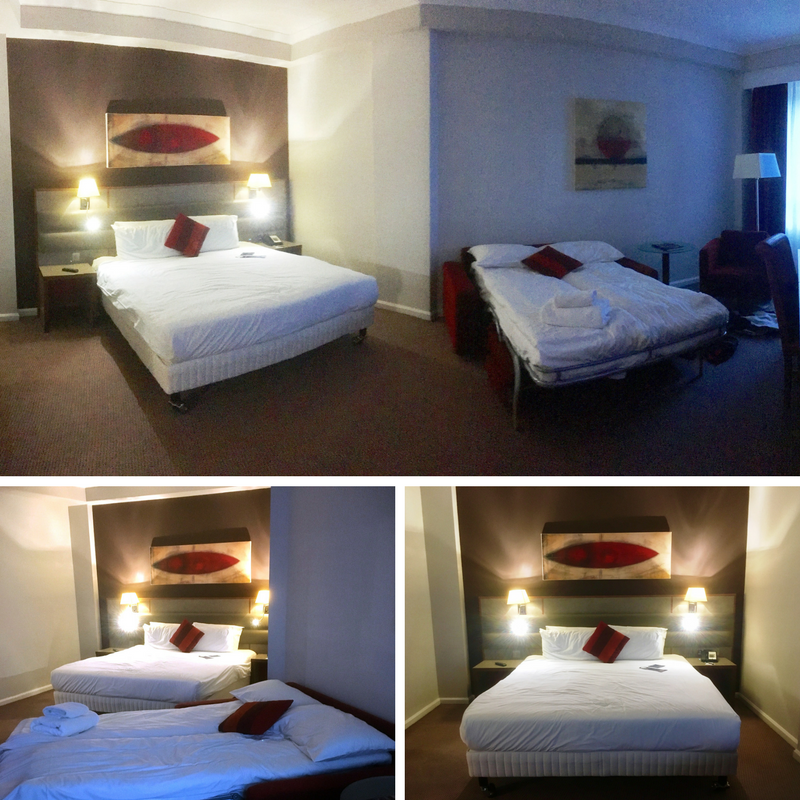 After a day exploring the cathedral and charming marketplace, you can retreat to your cosy room. Each of the 207 bedrooms and suites offers contemporary design and stylish décor. No matter which style or room type you choose, all rooms come with flatscreen TVs and high-end toiletries. The hotel is located on Frankland Lane in Durham. It's very close to the train station if you are travelling by train (less than 3 hours from London) and next to an area of the city currently being redeveloped. Once completed the hotel will have more bars, restaurants and a cinema on its doorstep. 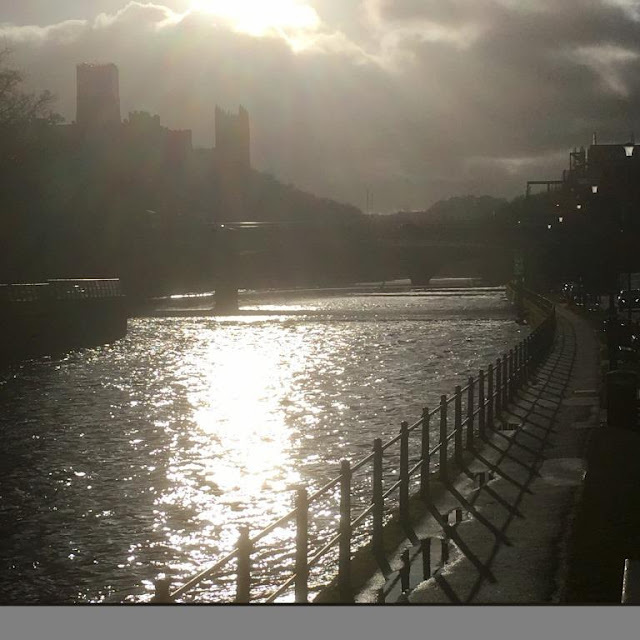 It already has the Walkergate complex just across the river with a number of bars, restaurants, library and a theatre too. It's also just a 10-minute walk from the marketplace in Durham and 15 mins from the WHS of Durham Cathedral & Castle. More of all that later. We arrived in Durham by car and easily found a parking space in the hotel car park, which is directly behind the hotel. There is space for 130 cars and costs £8 per night. The Hotel Receptionist was warm, friendly and very informative fully explaining breakfast and also the leisure facilities. We then took the lift to the first floor and to our room. Our room was a family room with one large king size bed and a sofa bed made up as two single beds. They are not separate but the room is very spacious, with plenty of empty floor space, definitely not cramped. There was also a bathroom with a shower over the bath. The wardrobe and tea and coffee facilities were to the left as you enter the room, away from the main area, leaving plenty of room for luggage etc. The family rooms are approximately 38 sqm. The maximum number of guests is 2 adults and 2 children. These large rooms offer an optional sofa bed, rollaway bed or interconnecting room along with superb amenities including 40-inch LED flat screen TV, Coffee and tea provisions (including hot chocolate and biscuits), free high-speed, wifi, individual climate control and a laptop-size safe. The boys also received Global Explorers Kids Packs and they always love finding the notepads and pens in hotel rooms too. Luckily there were two! Some rooms overlook the river however our view was of the car park and if you looked up you could see trains passing through Durham train station. After a cup of tea, while the boys sorted out who was sleeping where, and how many TV channels there were, the wifi for their tablets, of course (there is free wifi), we decided to go for a swim. 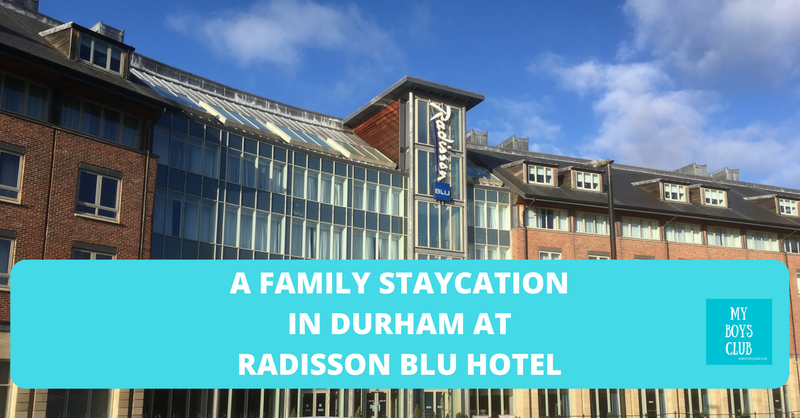 The Radisson Blu in Durham has a 15m swimming pool with jacuzzi, and also a sauna and steam room. The jacuzzi, sauna and steam room can only be used by over 16s but that didn't stop the boys from loving the swimming pool. They love swimming and in fact, on a one night stay, we used the leisure facilities both days. Children are allowed to use the pool at all times except between 7pm and 10pm Tues-Thurs. There is a Pace Health Club & Lime House Spa. We did not use the gym or the spa but you can book treatments - they specialise in spa days, massage and facials. There are both hair dryers and straighteners in the changing rooms - you do need a one pound coin for the lockers but this is refunded after use. The very helpful staff even lent me £1 coin as I'd left all my valuables in the hotel room. Once I'd gotten the boys out of the pool, we had a quick change and headed out into Durham for food. Me and hubby had eaten in The Collage restaurant before (it was very good), it does also have a children's menu and you can also order pizzas to your room as well as a full room service menu which includes a children's menu for £7.95, but on this occasion we thought we'd head across the river to see what Walkergate had to offer. There are a number of bar and restaurant chains including Nandos, Ask Italian, Chiquitos, Fat Buddha, a champagne bar and a JD Wetherspoons. The boys fancied burgers so we headed to The Bishop Mill, where we were also surprised to find a selection of vegan dishes too. At about nine o'clock we headed back to the hotel. It was raining pretty hard now so we were glad we'd not ventured to far. A cup of tea, a hot chocolate and a few books later and we were all asleep. The boys woke as ever bright and early. Amazingly we had all totally slept through Storm Eleanor as it had lashed the UK with violent storm-force winds of up to 100mph - we just didn't hear it at all - although after checking on Facebook we saw plenty of other people in their homes had had a sleepless night. And after as much of a lie-in as we could persuade them to have we headed down to breakfast. Having stayed here before the boys knew what was coming and were very excited. They always remember the food, no matter where we go. 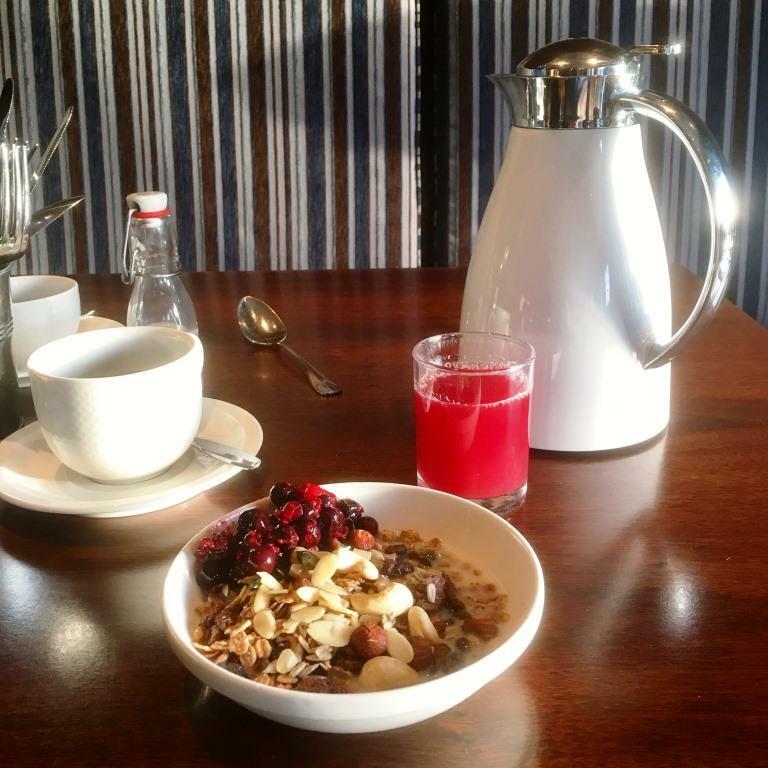 And they had fond memories of the breakfast at Radisson and I'm pleased to say they weren't disappointed. And neither were we. The breakfast at this hotel remains one of my favourites across the world! There is an abundance of fresh fruit, a choice of dairy and non-dairy milk, cereals, seeds, nuts, fruit juices, to accompany a continental or full English breakfast. There is an additional cooked to order breakfast menu too. And from this, we chose the salmon and poached egg muffin and the avocado and tomato muffin. Both were really tasty. Filling, but not too filling that we couldn't manage a chocolate mini muffin and some watermelon. And then we headed back to the swimming pool. The boys love swimming! Before checking our at 12 noon and heading out into Durham and enjoying a circular Riverside Walk before driving home. 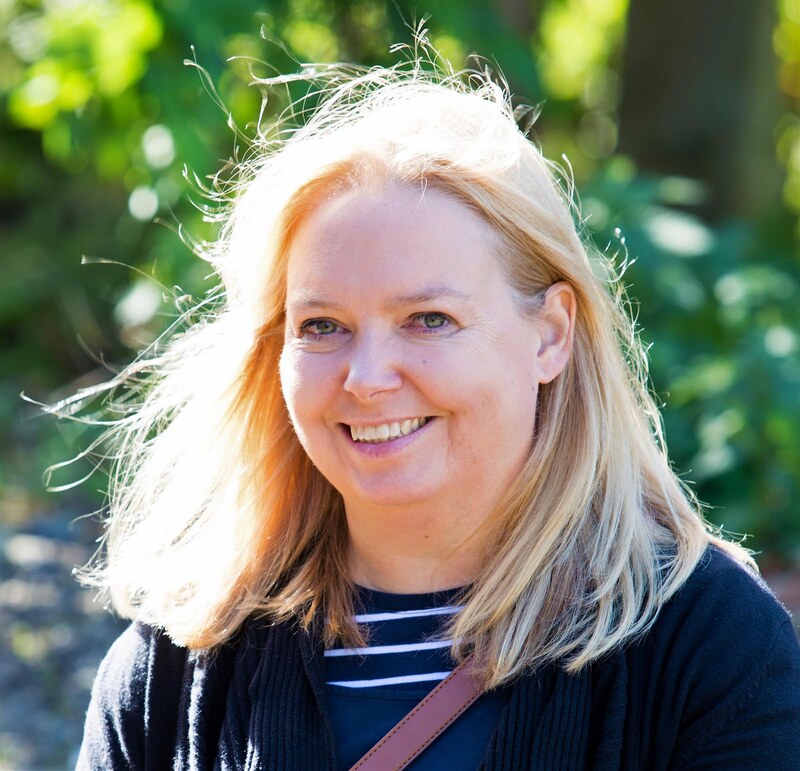 Located right next to the Radisson is Crook Hall & Gardens and as well as the Castle & Cathedral, which has a great Open Treasure exhibition which my boys loved, Durham also has museums, theatres and shopping centres. Within half an hours drive of Durham City, you can also enjoy a trip to the award-winning Hall Hill Farm, Beamish Museum, Auckland Castle, Durham Heritage Coast, Locomotion and the Angel of the North which turns 20 this year! 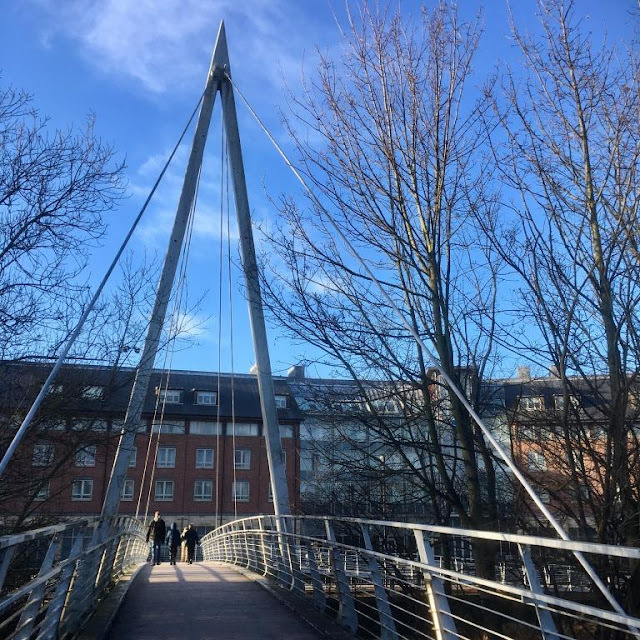 Durham is also just 10 minutes from Newcastle which has been named as THE place to visit in 2018 by Rough Guides. Newcastle will also be hosting the Great Exhibition of the North this year between June and September. The biggest event to happen in the UK this year and a family-friendly event just 10 minutes on the train from the Radisson Hotel. The Radisson Blu in Durham is in an excellent location and has great facilities. Our TV had kept turning itself off but this was a hotel-wide issue we discovered, because of the storm and we also reported a loose fitting toilet seat so they could make sure it could be fixed before the next guests arrived in that room. 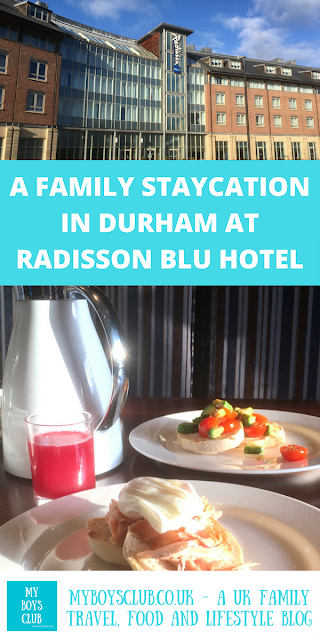 At Radisson Blu Hotels, including Durham, kids can stay and eat for FREE! 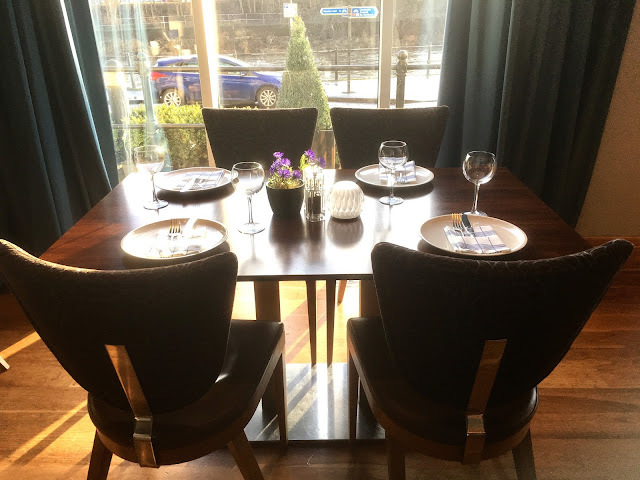 Children 16 and under stay for free and under 12's eat breakfast and/or dinner free when staying at the hotel and are accompanied by at least 1 parent purchasing breakfast and or dinner at the hotel. For a family of four including the breakfast for everyone and access to the pool, would have cost approximately £140. 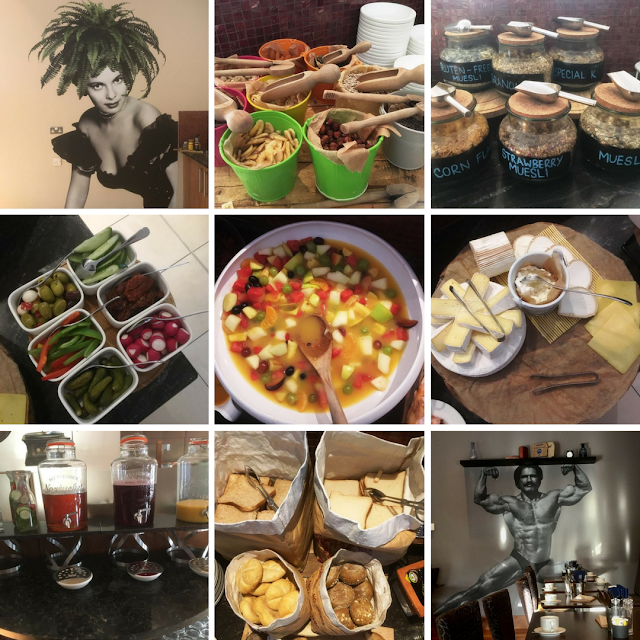 All in all, it was a great place to enjoy a family staycation in North East England. 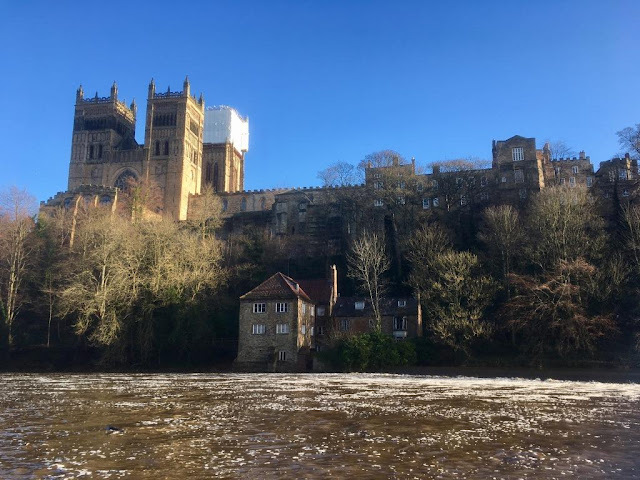 Have you been to Durham? Disclosure: We received a complimentary stay for a family of four on a B&B basis in return for an honest review. All other expenses were paid for by ourselves. This is so interesting to read. I've never been to Durham, but my daughter has just been offered a place at the University so we could well be spending quite a bit of time there if it all works out! The room looks great, along with the food and the facilities. It sounds like the hotel is in a really good location close to attractions and transport. Would love a stay here - looks fun and relaxing. I have never been to Durham before but I would like to. Especially if you are able to stay in hotels like the raddison blu, the swimming pool looks incredible. Looks like a fab place to stay. Do they do a family room that sleeps 5? Oh god, give me a room with a view and a hotel next to some water & I am a happy gal! I love the look of this place! 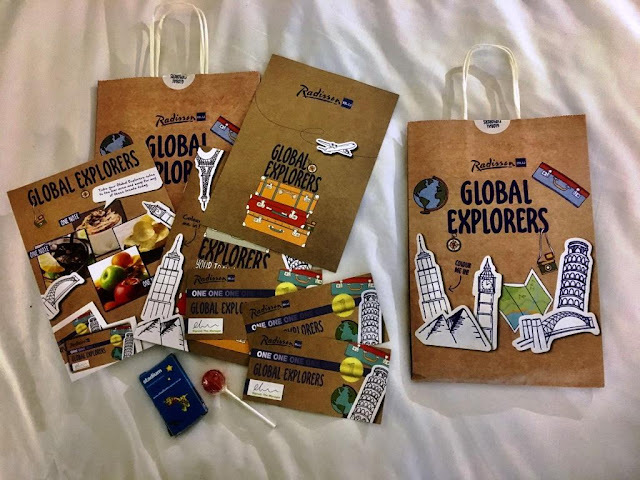 I hope that you had an amazing time during your stay! We've heard a lot of good things about Durham, I only visited once briefly for work but probably time to return for a leisure trip. Hotel clearly does the job well. Looks like a good place to stay for my kind of family. The rooms are spacious.